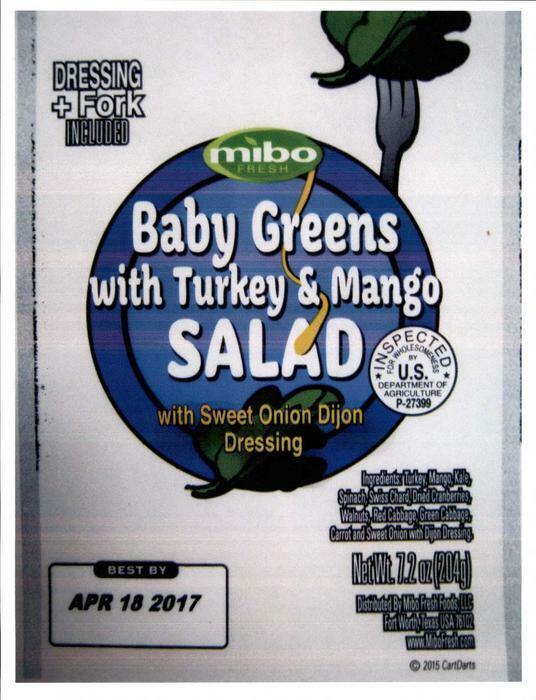 Mibo Fresh Food of Fort Worth, Texas, is recalling approximately 3,434 pounds of ready-to-eat turkey salad product. The product contains pieces of honey glazed walnut, which has an ingredient of wheat, an allergen not declared on the label. Additionally, the recalled product was packed on shared equipment with other tree nuts, peanuts, soy and milk. The recalled product, bearing establishment number “P-27399” inside the USDA mark of inspection, was shipped to Costco retail locations in Texas, Oklahoma and Louisiana. Customers who purchased the recalled product should not consume it, but throw it away return it to the place of purchase. Consumers with questions about the recall may contact Debbie Patterson at (817) 882-9600.